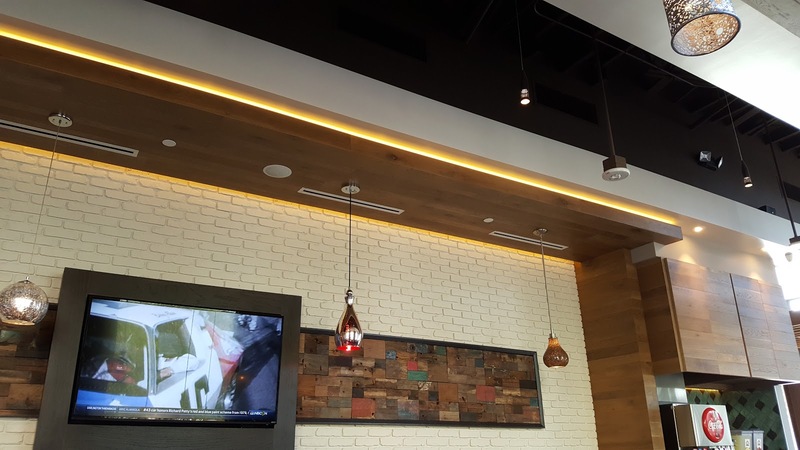 Temecula, CA - Luna grill just recently opened at the local mall a few weeks ago. It is located in between the movie theater and the Apple Store in the outdoor shopping area. The grand opening ribbon cutting is this Friday Sept 23 2016 and this event supports the Temecula Boys and Girls Club according to Luna Grill's recent Instagram post. 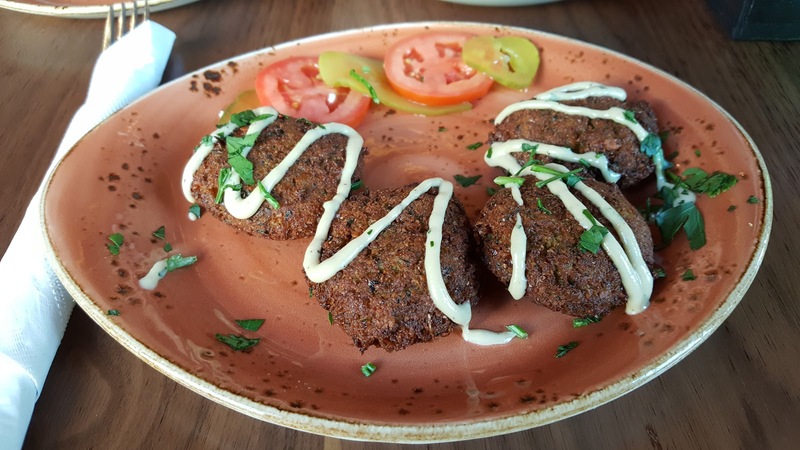 I had been looking forward to Luna Grill opening for months, ever since I looked at the website and noticed they had many choices for Vegetarian and Vegan food. As you enter, you notice the place is stunning; with modern decor out of a HGTV set. 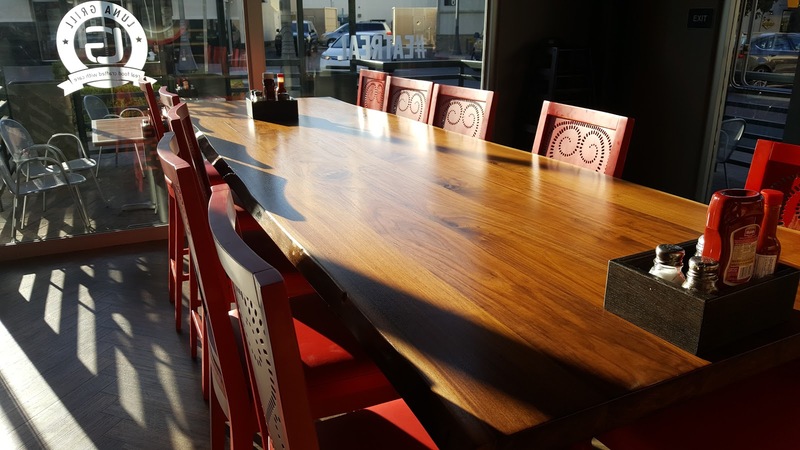 A beautiful large table is in the front, the kind you can sit with a large group - or meet new friends by sitting at the table with them. 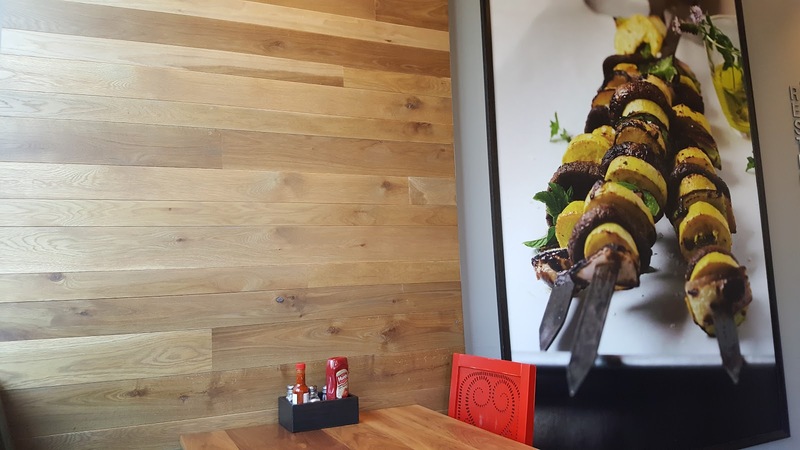 The menu is simple and relatively easy to read, you stand at the counter to order and they bring it to your table. Most of the food they make comes vegetarian (some vegan!) and if you desire you can choose your meat (or Falafel). I was with Jeney, so we ordered the Feta Fries, a plate of Falafel, an iced tea and a bottle of Perrier. Jeney said the tea was tasty (if you don't like tea there was a selection of fountain drinks and also lemonade to choose from). I rather enjoy bottled sparkling water, so the cold Perrier was perfect for my meal. After taking a seat at our clean table, we were greeted pleasantly by a staff member, and quickly our food came to the table. 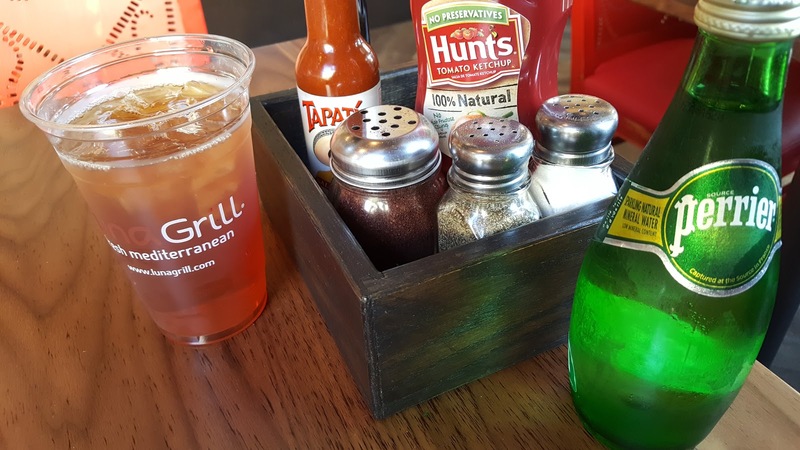 I noticed the wide variety of condiments at the table including Tapatio, and red pepper flakes. Crispy on the out side and hot inside, the Falafel was bigger in size and flavor than I expected It came topped with a Tahini sauce and served with a side of pickles and tomato. I personally enjoyed a bit of salt and red pepper flakes on my tomato and pickles, it was a rather tasty garnish. 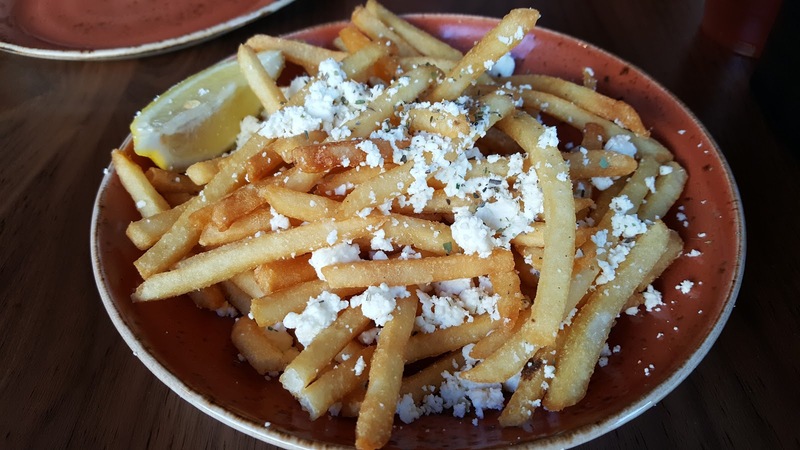 The Feta Fries are rather large, super good, absolutely covered in feta cheese and served with a lemon wedge. Delightful indeed. Quick and healthy food right where you need it, when you need it - Luna Grill Temecula. Visit them online at http://lunagrill.com/location/temecula/ - the address is, 40756 Winchester Rd Temecula Ca 92591, phone 951-296-0605.